Be part of a caring, supportive team. Find available positions today. At FirstLight® Home Care, we believe in taking really good care of the people who take care of our clients. Our caregivers are the heart and soul of our company, and we’re dedicated to finding the kind of people we would trust with our own families. Serving others is more than a job. A career in caregiving comes with the rewarding experience of making someone’s life better. FirstLight offers complete in-home Companion and Personal Care Services for seniors; new and busy mothers; those recovering from illness, injury or surgery; disabled adults; veterans; and any adult over the age of 18 who just needs a little assistance. When you choose to work with FirstLight, you choose to be more than a caregiver. That’s because we also happen to be walking partners. Listeners. Problem solvers. Organizers. Peace of mind. Personal chefs. And so much more. 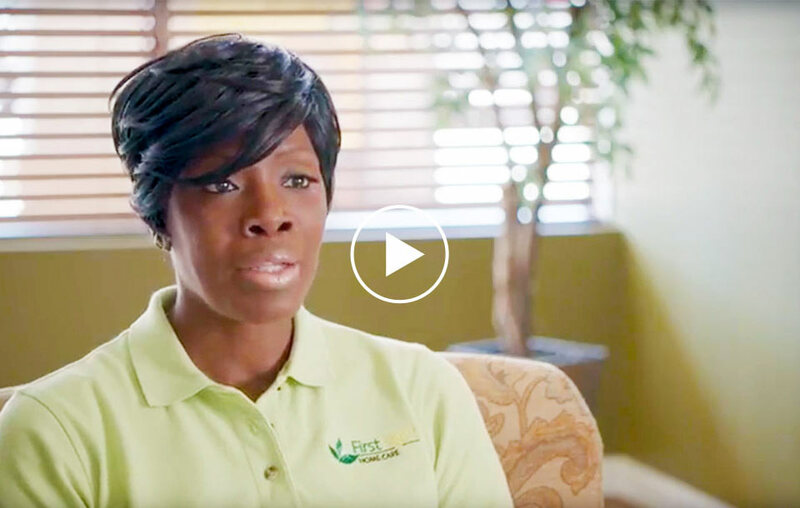 For us, caregiving is not just a job – it’s a calling. Become part of the FirstLight family.